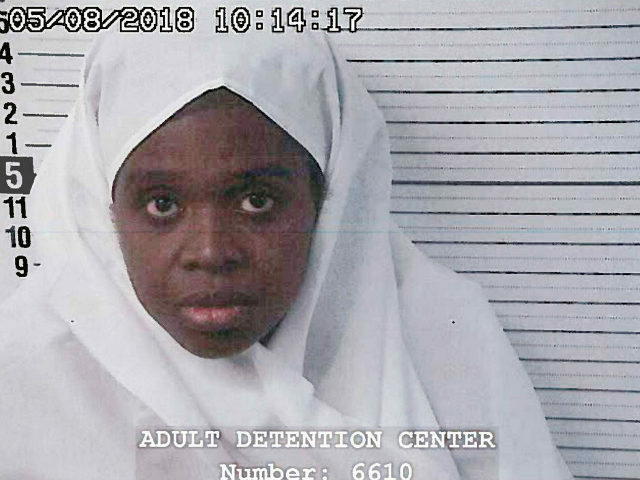 One of the suspects from the “extremist Muslin” compound in New Mexico where a child was found dead has been living in the U.S. illegally for 20 years, authorities say. Immigration officials detained Jany Leveille, 35, after her arrest, saying, “Leveille has been unlawfully present in the U.S. for more than 20 years after overstaying the validity of her non-immigrant visitor visa,” according to Fox News. Leveille reportedly moved to New York from Haiti in 1998. She began moving from place to place over the ensuing years, living in cities such as Philadelphia and New York. She also lived in Georgia. She married Siraj Ibn Wahhaj and in January moved to the compound in New Mexico. Leveille and Ibn Wahhaj were arrested on August 4 along with several other adults. But in a controversial decision, District Judge Sarah Backus released most of them. The compound was raided when officials were tipped that a three-year-old boy had not been seen for some time. During the raid, the remains of a child were discovered on the property. Officials also maintain that a group of other children living in the compound was being trained as radical jihadists and taught to storm schools and kill teachers, students, and law enforcement officers. Inhabitants of the facility claimed that the child, Abdul-ghani Wahhaj, had died in a religious ceremony meant to “cast out demonic spirits,” according to Reuters.